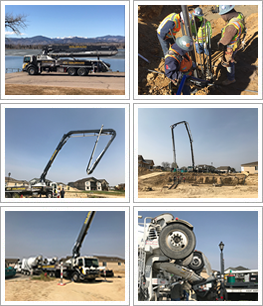 The American Concrete Pumping Association (ACPA) offers the only nationally recognized safety certification program for concrete pump operators. Certification has become a critical standard for customers looking for reliable, high-quality pumping contractors. Our pump operators, Mitch Nissen and Joe Kadingo, are both ACPA Certified; with experience in residential and commercial pumping. We have concrete pump trucks available for commercial and residential service. We serve Northern Colorado and the Denver Metro area including Loveland, Fort Collins, Greeley and surrounding communities.